Welcome to A-Maize-ing Farms - Kentucky's Largest Corn Maze! A-Maize-Ing Farms is quickly becoming an annual tradition for many families, groups, and schools! A-Maize-Ing Farms is Kentucky's largest corn maze consisting of three mazes in one; children's, intermediate, and expert. The corn maze is not the only attraction at the farm though. A-Maize-Ing Farms also has hayrides, corn cannon, giant inflatables, petal carts, petting zoo on Saturdays, pumpkins, mums, and other Fall decor! Join us this Fall and begin your annual tradition! 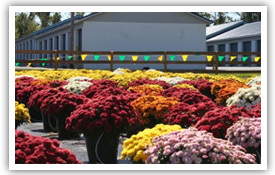 Be sure to stop by H&R Agri-Power in Mayfield for an admission coupon and say "Thanks!" for their generosity. All Independence Bank locations are offering a FREE drink or popcorn ticket.